CENTRAL LONSDALE BEAUTY!!! 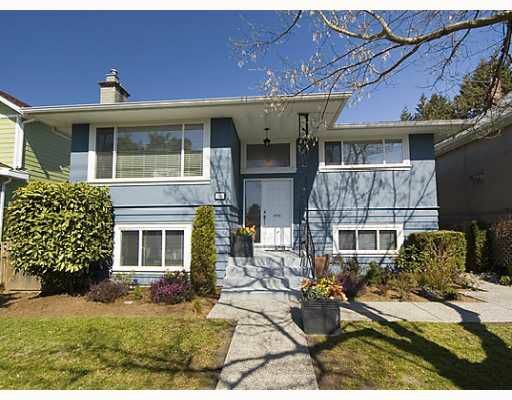 This Stunning Split Entry 6 Bedroom Home with Configuration Options sits on a Quiet Street 1/2 Block to the Park and only 2 Blocks to Lonsdale. FEATURES: Professionally Manicured Grounds, Hardwood Flooring withInlay, Wood Burning Fireplace Up, Natural Gas Fireplace Down and an Open Style Contemporary Design with Neutral Colour Scheme. Enjoy the Lower Covered Patio any Time of Year with Flush Pot Lighting, Peaceful Water Fountain and Separate Rear Entrance. The 15' x 12' Top Deck is also Great for Entertaining with Amazing Views of the North Shore Mountains. Freshly Painted and in Immaculate Condition Throughout. Nothing to do but Move In and Enjoy!